Gaura Purnima is the auspicious appearance day of Sri Chaitanya Mahaprabhu (who is also known as Gauranga due to His golden complexion), and this year we are celebrating the 532nd anniversary of His appearance on March 02, 2018. 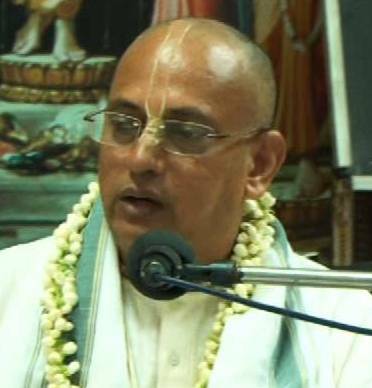 This festival also marks the beginning of the New Year for Gaudiya Vaishnavas. 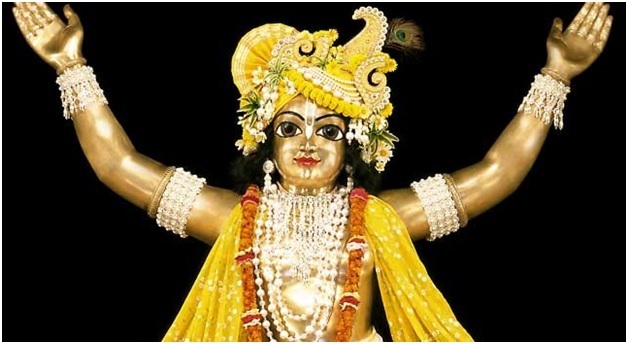 The Supreme Lord Sri Krishna appeared as Sri Chaitanya Mahaprabhu to establish Sankirtana (chanting of the Holy Names) – the Yuga Dharma for this age of Kali. He appeared on Phalguni Purnima, the full moon day in the month of Phalguna, (Feb-March) in the year 1486 AD (1407 Shakabda) at Sridham Mayapura as the son of Sri Jagannath Mishra and Srimati Sachidevi. His parents named him Nimai since he was born under a nimba (neem) tree in the courtyard of His paternal house. 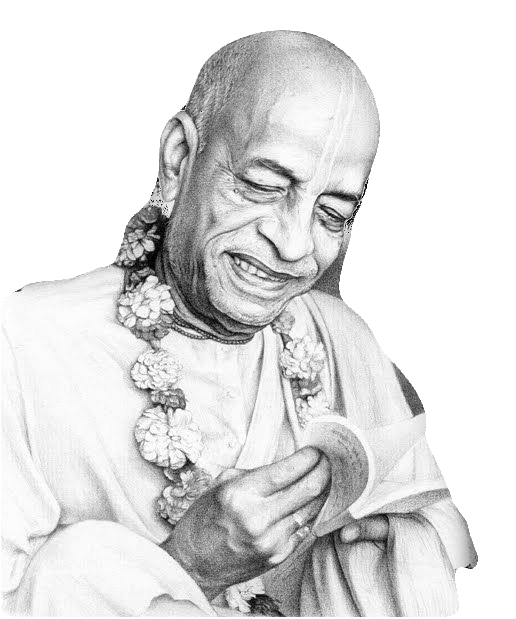 His appearance day is celebrated as Gaura Purnima. The celebration begins in the evening with a pallakki utsava of Sri Sri Nitai Gauranga (Lord Chaitanya Mahaprabhu and Lord Nityananda). The utsava Deities are taken out in a procession in a pallakki bedecked with flowers. Devotees perform maha sankirtana to please the Supreme Lord. As everyone joins in the sankirtana, the Hare Krishna maha mantra resounds in every corner of the temple. After the procession, the Deities of Nitai Gauranga receive a grand abhisheka. Their Lordships are first bathed with panchamrita and then with panchagavya followed by various fruit juices. Devotees chant prayers from the Brahma-samhita, glorifying the Lord. A grand arati is performed to the accompaniment of the Gaura Arati song composed by Srila Bhaktivinoda Thakura. After the arati, the Deities are bathed with sanctified water from 108 kalashas while the devotees chant the Purusha Sukta prayers. Their Lordships then receive pushpa vrishti (showering of flowers) and a special offering of 56 dishes (chappan bhog). Next follows a shayana arati when all the assembled devotees glorify Sri Chaitanya Mahaprabhu by singing Sri Sachitanaya Ashtakam that describes His transcendental form, qualities and activities. The program concludes with the shayana pallakki utsava. On this day, devotees fast till moonrise and break their fast by taking anukalpa feast (made from non-grains). On the following day, they offer a special feast to the Lord which is called Jagannath Mishra Feast, named after Sri Chaitanya Mahaprabhu’s father, who arranged a grand feast to celebrate the birth of his son.